Eva sent this great 'postcard' she received at a play, Los Mendigos (The Beggars). It is an interesting piece, the size is similar to a large bookmark. 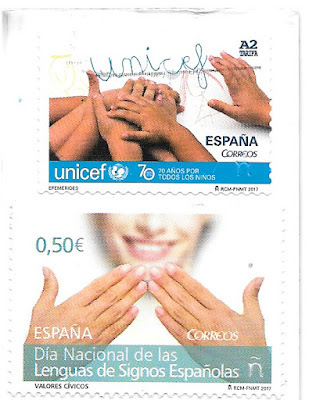 And even more interesting are some of the stamps on the back that match the hands on the front.